Size discrimination in the fashion industry is only becoming more and more apparent in 2016. Especially now that NYFW is upon us, it seems as though fashion’s still catering to a certain size, and that rarely includes above a size 12. Especially in terms of who gets to walk the runway. 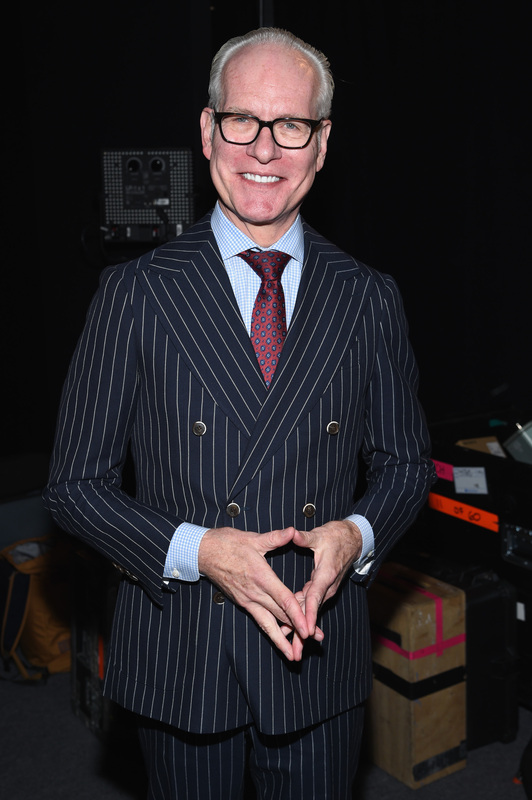 Tim Gunn wrote an essay to speak out against size discrimination in the fashion industry, and he’s garnered quite a bit of support from fans. In the essay published in the Washington Post, Gunn recognizes and praises brands who are working to be inclusive. He names Ashley Graham’s lingerie line for Addition Elle, ModCloth, Eloquii and Lane Bryant as the brands leading the inclusivity charge. But, he admits that there is still a long way to go before women above a size 12 actually have a variety of clothing to choose from. Perhaps the most refreshing part of the essay is that Gunn doesn’t leave Project Runway, the project that he's arguably most well known for, out of the mix. He says the show is not doing nearly enough to help bring about change. “Project Runway, the design competition show on which I’m a mentor, has not been a leader on this issue. Every season we have the 'real women' challenge (a title I hate), in which the designers create looks for non-models,” he wrote. “The designers audibly groan, though I’m not sure why; in the real world, they won’t be dressing a seven-foot-tall glamazon.” And he couldn’t be more spot-on. USA Today says that this essay is the greatest takeaway from all of NYFW. Powerful statements like Gunn's is definitely a step in the right direction. He's bringing attention to the issue, and considering he's Tim Gunn, his words really are truly impactful. Not only is he drawing attention to the sizing issue, he's also rewarding the brands who are creating a positive shopping experience for all women. The Fashion Critic for the Washington Post is on board with Gunn's message. It's important that this essay ran in such a noteworthy publication, not a relatively unknown blog. Fashion journalist Leandra Medine supports Gunn on this issue. In fact, many people online agree with what Gunn's got to say. The lack of inclusivity in the fashion industry is something many women can relate to. Gunn is really making it work with this whole honesty thing. It really suits him, you know? His words are working to give so many women a voice. Even those not affected by this issue can understand that ignoring the "huge financial potential of this market" just doesn't add up.